With a string of chart hits and countless underground tracks to his name, Belgium-based Italian Vito Lucente possibly stands proudly as one of Europe’s most successful house artists. Recording under a multitude of aliases since the early-1990s, it is for his work as Junior Jack that he is most widely recognised. His breakthrough cut ‘My Feeling’ is an early highlight of Defected’s discography, which crossed over from main rooms to make an impact on charts in the UK, across Europe, Australia and the USA, as did later hits ‘Stupidisco’ and ‘Da Hype’. Club tracks ‘Thrill Me’ and ‘E Samba’ demonstrate an ear for an infectious hook and a floor-filling bassline, whilst cuts such as ‘Just Deep’ and ‘Only House Muzik’ – produced under Lucente’s alter-egos Deep Walker and Mr Jack – show he is equally adept at turning out dubby, underground material. Collaborations with Kid Crème and Olivier Gosseries explore Latin rhythms and tracky percussion, and his production on tracks featuring Jocelyn Brown, Kathy Brown and Ron Carroll probably show his aptitude in working with some of the finest voices in house music. 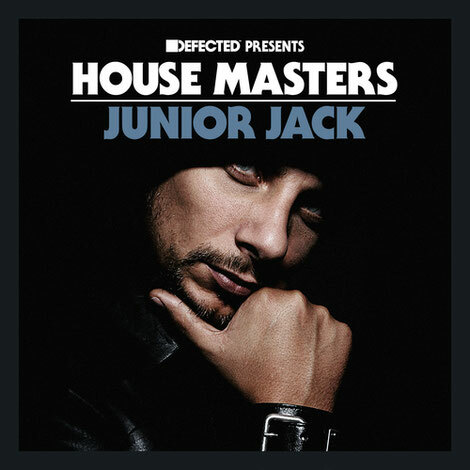 Collecting together the highlights of his wide-ranging career, ‘House Masters - Junior Jack’ sees him take his rightful place on the series. It’s out 24 February 2017.